For the tenth consecutive season Phillip Island will host the opening Yamaha Finance Australian Round, giving fans the chance to be the first to see every new rider and machine for the 2019 MOTUL FIM Superbike World Championship in action from the 22-24th February. 2019 marks the dawn of a new era for World Superbike, as a third race is introduced to the schedule for the first time in the series’ history, starting at Phillip Island. An electrifying sprint race will take place on Sunday morning, to go along with the two traditional 22-lap battles on Saturday and Sunday afternoon. Last season both races went down to the final lap, and 2019 promises even more riveting action as new riders and machines join the grid. Leon Haslam returns to World Superbike joining current world champion Jonathan Rea at the Kawasaki Racing Team, while Álvaro Bautista partners Chaz Davies at Aruba.it Racing on the all-new Ducati V4 after having spent nearly a decade in MotoGP™. Big names already joining a huge line-up, including Pata Yamaha’s race-winning duo of Michael van der Mark and Alex Lowes, Red Bull Honda’s Leon Camier, and many more. 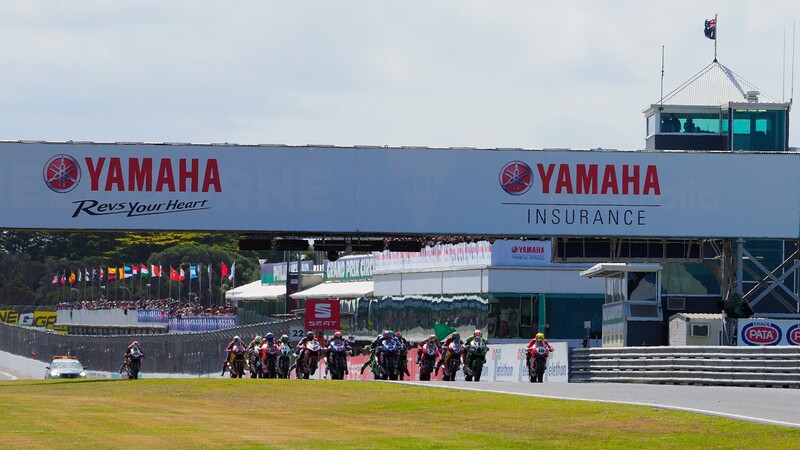 Tickets for the Yamaha Finance Australian Round will be made available on worldsbk.com very soon, with a three-day adult pass costing just $120. Everyone who acquires a three-day ticket will also be gifted a full Paddock Access pass for free and can add on-circuit camping to complete their holiday for a total of $230. Great news for families and all our younger fans: children 15 and under can access all three days for free, always accompanied by a paying adult. Kids will also have free admission to the campsite under those same conditions. Premium ‘Bar SBK’ tickets will also be available for purchase at $265 (with camping $375), which include special facilities at Doohan Corner, Siberia and Lukey Heights. Register on our WorldSBK ticket site to get all the information and be notified when tickets are on sale.